Tanqueray No. 10 Gin is a popular Gin available from Amazon.co.uk in 70cl to buy online. Visit Amazon.co.uk for the best price for 70cl of Tanqueray No. 10 Gin or compare prices on our other Gin products. Originally launched in 1830 Tanqueray has been renowned the world over for its sophisticated style and taste. The Number Ten is a recent new comer having launched in 2000 and it owes much of its dominance to being the go to Gin of choice for Martini's. It has a crisp fresh taste perfect for making a stirred not shaken drink. Where to buy Tanqueray No. 10 Gin ? Tanqueray No. 10 Gin Supermarkets & Stockists. You can buy Tanqueray No. 10 Gin online in most retailers and find it in the Gin aisle in supermarkets but we found the best deals online for Tanqueray No. 10 Gin in Amazon.co.uk, DrinkSupermarket.com, 31dover.com, Tesco Groceries, Waitrose Cellar, TheDrinkShop, and others. Compare the current price of Tanqueray No. 10 Gin in 70cl size in the table of offers below. 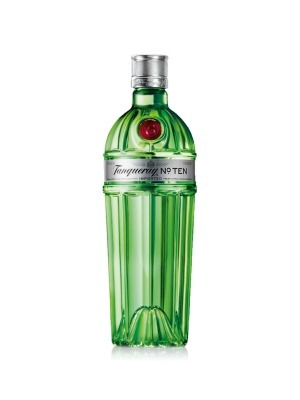 Simply click on the button to order Tanqueray No. 10 Gin online now.